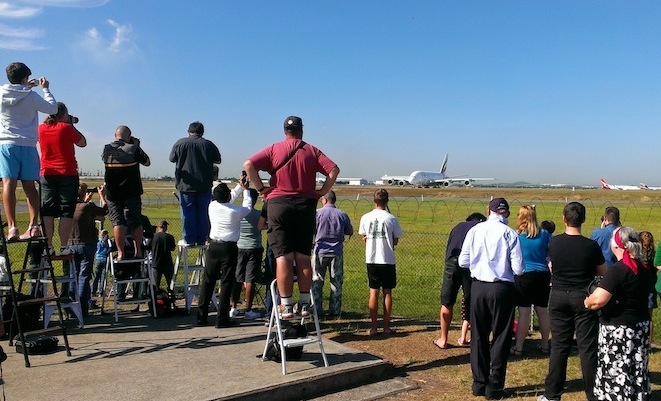 Brisbane has welcomed the arrival of its first Emirates A380 service when EK434 touched down yesterday from Dubai. The daily A380 service, one of Emirates’ two daily flights to Brisbane, brings an increased capacity of 132 seats per flight, or additional 193,000 seats a year in and out of Brisbane. “The demand for the aircraft is clearly demonstrated by strong load factors. Forward bookings average around 90 per cent, while the load factor in business class from October to December has increased 35 per cent when compared to the same period last year,” Emirates’ Barry Brown said. This year marks Emirates’ 10th year anniversary of operations in Queensland. Emirates currently has 37 A380s in its fleet with a further 53 on order. Following the arrival in Brisbane, Emirates now flies its A380s to 22 destinations on its ever expanding network.